Minty fresh organic Peppermint toothpaste from Green People. Green People toothpastes and mouthwashes provide gentle and natural oral care, ideal for sensitive teeth and suitable for all the family. This minty toothpaste contains organic Peppermint, Myrrh & antioxidant Olive Leaf extract which helps to protect gums. Green People Mint Toothpaste is made without Fluoride, SLS, Triclosan, Sorbitol, Parabens, phthalates, artificial sweeteners, petrochemicals, hydrocarbon, aluminium contamination and colourants. Certified organic by EcoCert - 100% natural, 34% from organic farming. Contains fairly traded ingredients. 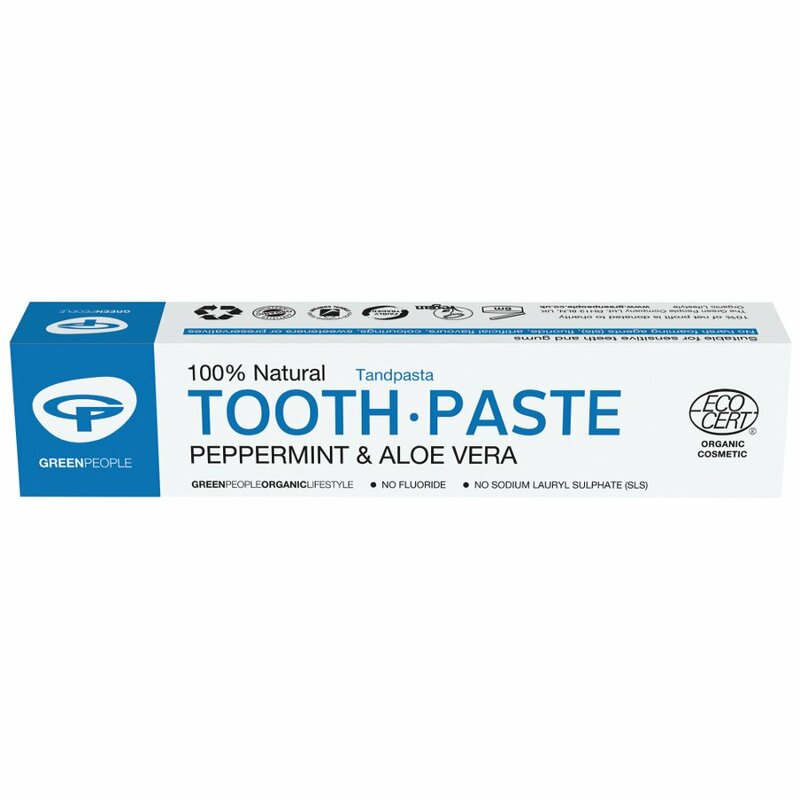 There are currently no questions to display about Green People Peppermint Toothpaste 50ml.